From deep in the rainforest of south west BC emerges a unique and integral cannabis producer. Presenting Kindle Bloom Organic Craft Cannabis, grown in 100% living organic soil, harvested at peak maturity, and dried and cured slowly to perfection. Kindle Bloom provides only 100% organic flowers so you can feel safe that there is no residues from fertilizers, pesticides, fungicides, or other conventional additives. Going well beyond your average organic program, we source local and sustainable inputs, as well, we take from both, Biodynamic and Korean Natural Farming practices. Our conscious approach to farming means we recycle our soil, we compost unused plant material and focus on maintaining a balanced ratio of mycology and microbiology to reflect what happens in Mother Nature. This approach ensures our flowers have optimal health to thrive, and to develop larger terpene profiles, and a more complex spectrum of cannabinoids This also means we leave a much smaller footprint on the environment, and we are looking forward to continuously reducing that as we perpetually improve our craft. We love to grow exotic and rare strains, while also providing some of the all time favorites. 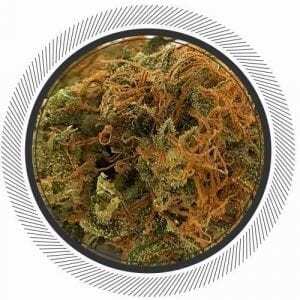 And today, with the ever rising interest and information about CBD, we have dedicated a lot of effort to bring you some of the best CBD rich and CBD dominant strains available. Enjoy our flowers, they are truly unique. This guy is a genius. Plain and simple. The Harle-Tsu #9 is a MUST try.